As you know by now the TV series Who Do You Think You Are? in the US has been cancelled. However, genealogy themed television in the UK seems to continue to thrive. Lisa’s Answer: Congratulations on your blog! When it comes to optimizing your blog for search, you want keywords included that other genealogists will be searching for. So include them when possible in both the title and the body of the blog post. Consider also adding location names or other significant keywords that people will be looking for, and links to relevant websites. You can find lyrics on the Genealogy Widower Facebook fan page. Jay in Brisbane, Australia is New to Genealogy: "I really want to thank you for your show. Not only have I found each and every episode informative and inspiring (and, yes, I've downloaded every single episode in iTunes! ), helping me get starting growing my fledgling family tree, but you've also inspired me to start a blog to document my efforts and share the stories I discover." Lisa’s Answer: The answer is yes. 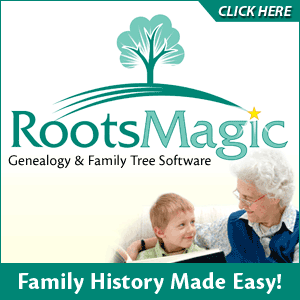 However, all though it sounds like a lot of work, you'll actually benefit not only by verifying all of the data and getting it sourced properly (which will pay off big dividends in the long run) but all genealogists experience new finds and insights when revisiting sources. You know more than you did when you first got the information, and that helps you see things in a new light. Before I wrap up this episode I wanted to share something that happened to me the other day, and the lesson it taught me about genealogy that I think we can all benefit from. A few weeks ago my youngest daughter Hannah came home for a few weeks break when the college term ended. Bill and I and Lacey and Hannah went out shopping on a Saturday afternoon, and when we go to the second store Hannah wasn’t feeling very well so she said she was just going to wait in the car. So I handed her the car keys, and we all went inside to finish our final errand. Read the rest of my story here.